The sizzling video for the new track has dropped and was helmed by acclaimed director Hannah Lux Davis, who has guided videos for Arianna Grande, Nicki Minaj, Lil Wayne, and others. The boys get captured by a bunch of Bad Girls who terrorise them as they plan their escape from the girl came The song is the opening salvo from their forthcoming sophomore album due to be released later this year. The duo premiered the track on Good Morning America , check out the performance here. They’ll also have their late night television debut on the Late Late Show With James Cordenon CBS on June 4th. 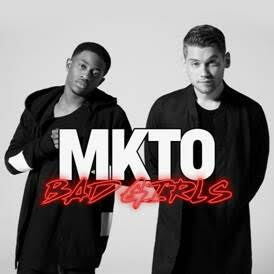 Their highly anticipated new single ‘Bad Girls’ is available on iTunes now..!